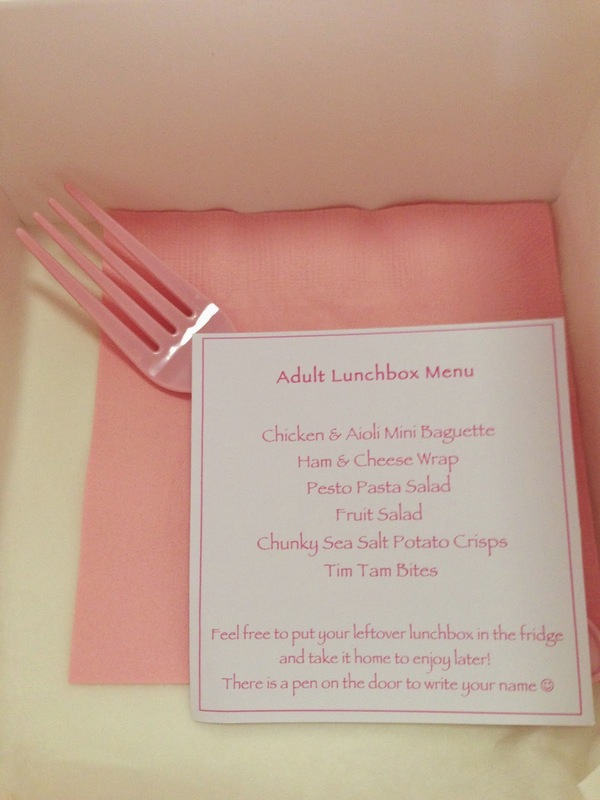 These little pink lunchboxes were certainly the biggest hit of the party!! 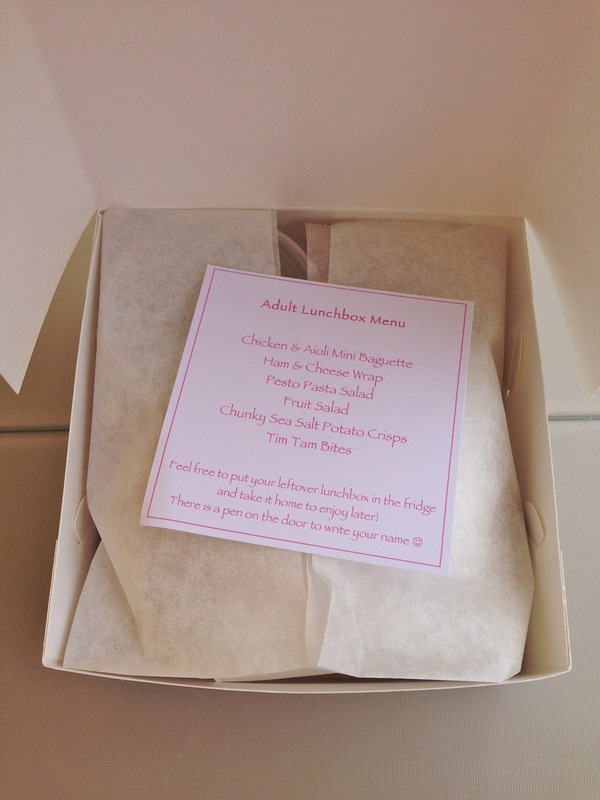 Everyone absolutely loved getting their own little lunchbox - I received so many messages the days following the party from everyone saying what a great time they had, and especially how much they loved the lunchboxes. It is definitely something that I will do again. 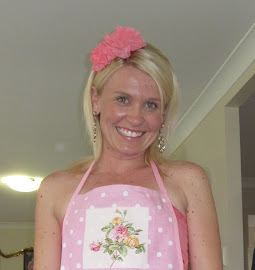 The 'wow' factor was priceless, but also the fact that I didn't have to spend any time preparing food on the day of the party was a big bonus. The cleanup was so quick and easy, it was very cost-effective and it was relatively healthy too. It all started with an idea I had sparked from the lunchboxes I had received at conferences in the past. I loved opening up my very own lunchbox to find all of the goodies - it seemed so much more fun than juggling a plate at the smorgasboard. Knowing that we had almost 100 guests coming to the party, I knew that my catering needed to be creative so that I could actually enjoy the party and not worry about preparing, serving and cleaning away food. 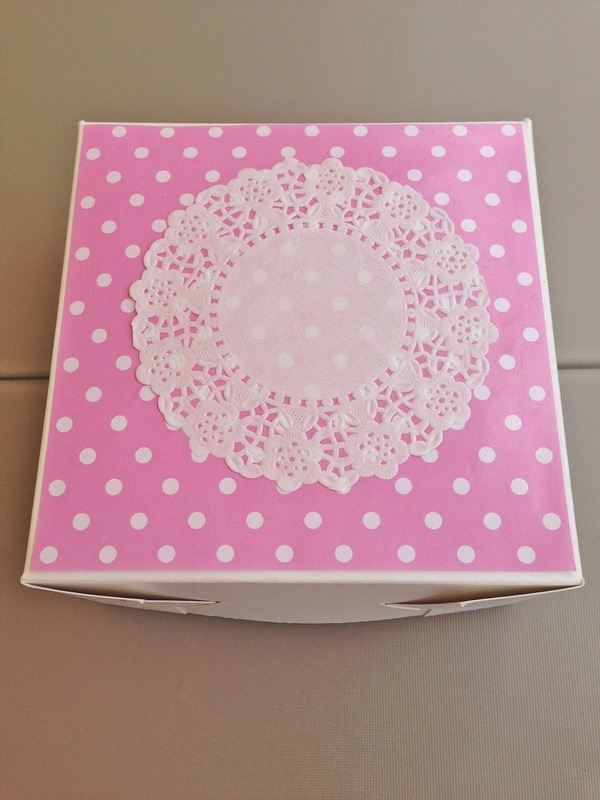 I found these gorgeous little cake boxes at a local packaging supplies store. I loved that they were white - a blank canvas for me to work with!! You can see that I kept my decorations to a minimum - a square of pink polka dot wrapping paper, plus a round white doily. I did want to wrap each box with pink string too, but I decided it was way to much work at the last minute, and I am so thankful that I didn't do it, as it just would have been thrown away anyway!! 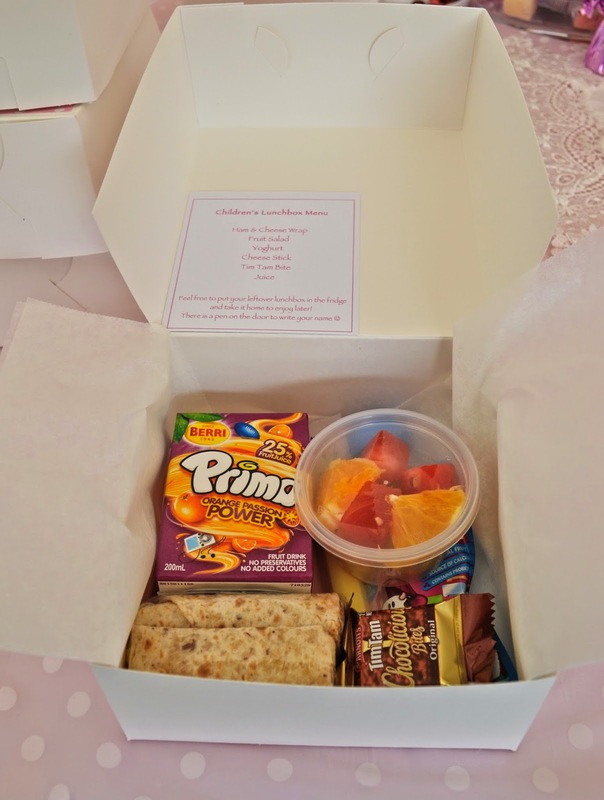 And I had a few guests with dietary needs, so I also had baby, pregnancy friendly, gluten free and dairy free lunchboxes prepared for them too. When it was time to eat, we simply grabbed the boxes out of the fridge, and then stacked them on a table, and the guests came and helped themselves - it was so easy!!! - We served no other savoury food at all - this was it. We still had a sweets table, which I will post about soon. Even though there were plenty of sweets, I still wanted a little sweet treat in the lunchboxes, hence the Tim Tam bites. - We had a fridge down in the marquee, and I stuck a pen on the door so that guests could write their name on their box if they had leftovers and pop it back in the fridge, and then they collected it on the way home. This eliminated a lot of waste. - I also had a 'trading tub' on the table, which had spares of the different foods, and people could come and trade something they didn't like, or pick something extra if they were still hungry. 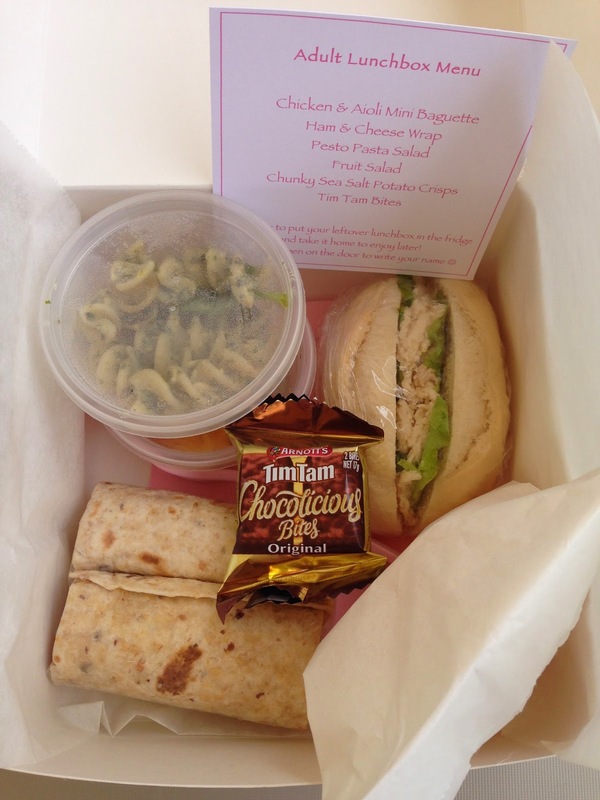 I will do a follow-up post with the stockists for the packaging for the lunchboxes. I couldn't believe how cheap the boxes were.... and neither will you!! And I will also do a follow-up post with extra information about the food preparation that I did for the lunchboxes. I can honestly say that I did NO food preparation on the day of the party (except for 5 cheese & tomato wraps for the pregnancy friendly boxes). Everything was wrapped, boxed and ready to go by 6pm on the night before the party. And the photo below shows the ONE washing up load from the party - my plastic wine glasses and a few platters. What an easy clean up! !